80" Sunbrella Awning / Marine fabric in Burgundy (80031-0000) is just one of several Sunbrella fabrics that looks its best even when the elements are at their worst. With Sunbrella fabrics, your customers will never again have to stress about mildew, constant cleaning, or fading. The performance of these exceptional fabrics makes them the number one choice for awning applications, like commercial awnings, window awnings, retractable awnings, patio awnings, pergolas, and more! Burgundy is also a top choice for marine applications, like marine canvas, enclosures, T-tops, sail covers, and others. 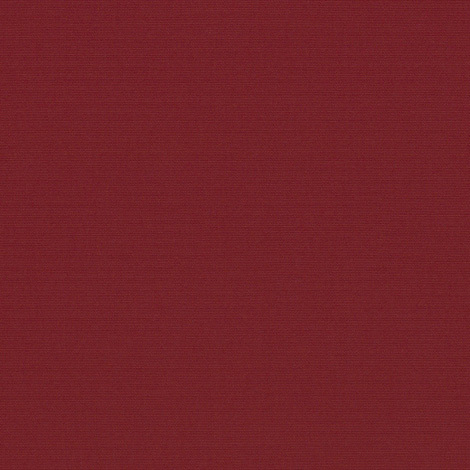 This premier fabric boasts a beautiful, solid red color you can look to for years into the future. Created from 100% Sunbrella acrylic, this fabric is water repellent, mildew resistant, and heat-sealable with seam seal tape. Warranty: 10 years. Width: 80 in. Weight: 9 oz.